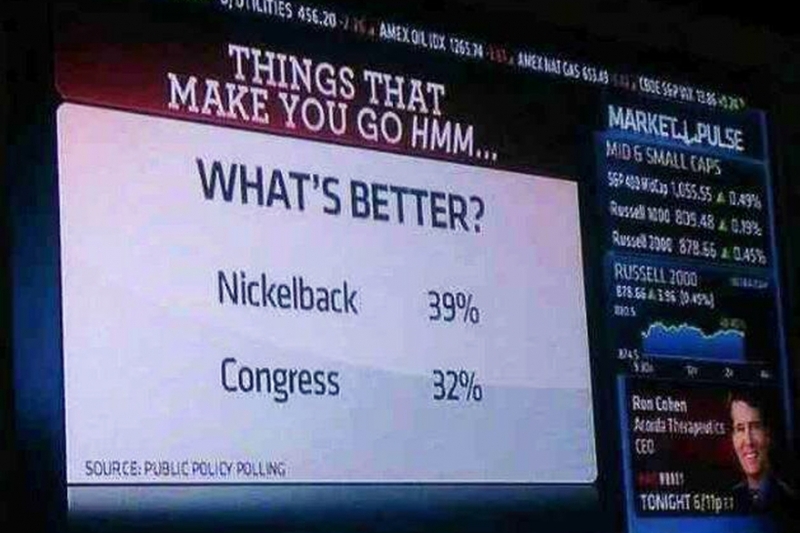 Nickelback, the band that everyone loves to hate, is apparently now more likable than the U.S. Congress. If you play a Nickelback song backwards you’ll hear messages from the devil. Even worse, if you play it forwards you’ll hear Nickelback.